CHICAGO, ILLINOIS. 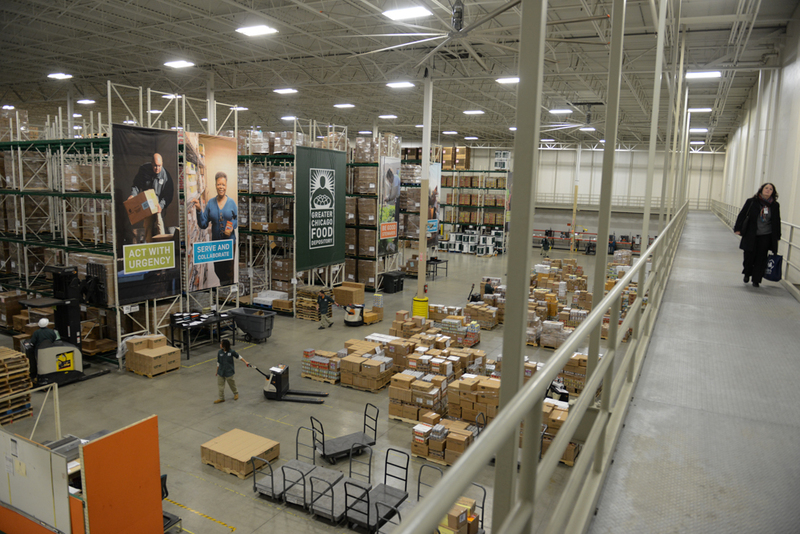 An administrative worker makes her way to her office passing workers in the food storage area of the four year old $30 million warehouse that is home to the Greater Chicago Food Depository's administrative offices and storage in the Archer Heights warehouse district near Midway Airport on December 23, 2014. One hundred and sixty people are employed by the organization which moves sixty seven million pounds of food annually to feed a significant portion of the 812,000 residents of Cook County who require food assistance.